A musician with a wide-ranging international career, British conductor and organist Michael Bawtree has directed the Royal Scottish National Orchestra, the Scottish Chamber Orchestra, London Mozart Players, Red Note Ensemble, the Orchestra of Scottish Opera and many performances for Scottish Ballet, Northern Ballet and Raymond Gubbay Ltd across the British Isles. For seven years, he was Assistant Music Director of the Lyrique-en-Mer summer opera festival in Brittany. This summer, he will join the music staff at Glyndebourne for their new production of Debussy’s Pelléas et Mélisande under Robin Ticciati. He is Principal Conductor of John Armitage Memorial (JAM), a trust promoting the commissioning and performance of new music. For thirteen seasons Bawtree has been Chorus Director of the Edinburgh Royal Choral Union and Music Director of Glasgow Chamber Choir. He is Artistic Director of Edinburgh University Chamber Choir. He has also worked with the Edinburgh Festival Chorus, the RSNO chorus and toured with other choirs across Europe, North America, Hong Kong and New Zealand. Recent and upcoming guest conducting engagements include concerts in Australia, India, Sweden, Holland, Germany, the Faroe Islands and France. He conducted the RSNO at the Commonwealth Games Celebration concert and at recent Hogmanay Gala concerts in Glasgow. He made his debut at the Royal Albert Hall in 2015 conducting Mozart’s Requiem with the London Philharmonic Choir. Bawtree spent the summer of 2014 living in Mumbai, directing a choral project with 250 children from all walks of life: slum children sang alongside the most privileged on the stage of the National Centre for the Performing Arts. In September 2015, he travelled to Brisbane to direct a choral project at the Queensland Conservatorium. A keen advocate of contemporary music, Bawtree has conducted many premieres and works regularly with the UK’s foremost composers including the late Sir Peter Maxwell Davies, Paul Mealor, Judith Bingham, Sir James MacMillan, Thea Musgrave and Sally Beamish. He recently assisted Martyn Brabbins on performances of Sir Harrison Birtwistle’s The Last Supper (BBC SSO) and Louis Andriessen’s La Commedia (BBC SO). 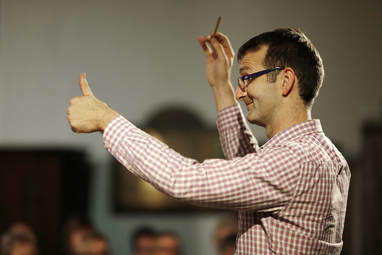 Michael Bawtree studied music and the organ at Christ’s College, Cambridge University, and conducting at the Royal Conservatoire of Scotland. As organist and continuo player, he has performed with the London Symphony, Bergen Philharmonic, Norwegian Radio, BBC Symphony, BBC Scottish Symphony, Royal Scottish National and Scottish Chamber Orchestras including concerts at the Concertgebouw in Amsterdam, the BBC Proms, the Edinburgh International Festival and the Audi Summer Concerts festival in Bavaria. Organ recital invitations have taken Bawtree to all the major British cathedrals, Westminster Abbey, Auckland Town Hall, Notre-Dame de Paris, Washington National Cathedral and across the USA and Scandinavia. Morley Whitehead is a Man of Kent, and studied at the Royal College of Music, London, where his teachers included the late Herbert Howells. While a student he was a multiple prize-winner at both the Associateship and Fellowship diploma examinations of the Royal College of Organists, and was awarded the Silver Medal of the Worshipful Company of Musicians. In 1979, he moved to Edinburgh, to become Assistant Organist at St Giles’ Cathedral, a post he held for over 10 years. 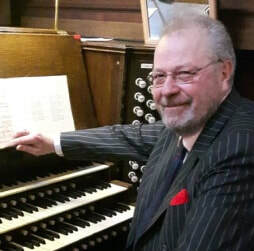 He finally left the High Kirk in 1991 to become Organist and Choirmaster of Morningside Parish Church; and in 2015 he was appointed Organist to the Thistle Foundation’s Robin Chapel, where his duties run concurrently with those at Morningside. Morley has worked for many years for Edinburgh University Library, where he is music specialist, and has the care of the Reid Music Library, one of the finest collections of its kind in the United Kingdom. Outside library hours he is accompanist to a number of the city’s musical institutions, such as the Edinburgh Royal Choral Union, Opera Camerata and Colinton Community Choir. At the same time he undertakes a wide variety of freelance playing, both within Edinburgh and beyond, more often than not as an accompanist, although in recent years he has given recitals too in all three of the city’s cathedrals, the Usher Hall, Caird Hall, Dundee, and Kelvingrove Art Gallery and Museum, Glasgow. Morley’s most recent recording appearance was with Cadenza, on its CD “Bright Star”, a collection of Christmas music with a largely Scottish flavour. 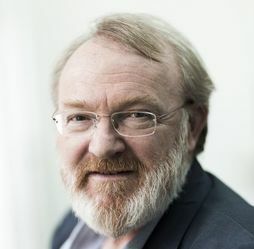 Martyn Brabbins is Music Director of the English National Opera. An inspirational force in British music, Brabbins has had a busy opera career since his early days at the Kirov and more recently at La Scala, the Bayerische Staatsoper, and regularly in Lyon, Amsterdam, Frankfurt and Antwerp. He is a popular figure at the BBC Proms and with most of the leading British orchestras, and regularly visits top international orchestras such as the Royal Concertgebouw, DSO Berlin and Tokyo Metropolitan Symphony (all of whom he conducted last season). Known for his advocacy of British composers, he has also conducted hundreds of world premieres across the globe. He has recorded over 120 CDs to date, including prize-winning discs of operas by Korngold, Birtwistle and Harvey. He was Associate Principal Conductor of the BBC Scottish Symphony Orchestra 1994-2005, Principal Guest Conductor of the Royal Flemish Philharmonic 2009-2015, Chief Conductor of the Nagoya Philharmonic 2012-2016, and Artistic Director of the Cheltenham International Festival of Music 2005-2007. He is currently Visiting Professor at the Royal College of Music and Music Director to the Huddersfield Choral Society alongside his duties at ENO, and has for many years supported professional, student and amateur music-making at the highest level in the UK. In 2017/18 at English National Opera Brabbins conducts the world premiere of Nico Muhly’s Marnie and a revival of Marriage of Figaro – his first productions as Music Director. He launches a Vaughan Williams symphonic cycle with the BBC Symphony at the Barbican (and recorded for Hyperion) and tours Holland with the BBC Scottish Symphony, with whom he continues his Tippett symphony cycle at the Glasgow City Halls and also for Hyperion. He celebrates the London Sinfonietta’s 50th birthday at the Southbank, and conducts the Netherlands Radio Philharmonic at the Holland Festival 2018. In Summer 2017 he conducts Elgar’s Dream of Gerontius with the Philharmonia at Three Choirs and he also conducts the final concert of the Edinburgh International Festival with the BBC Scottish Symphony. Brabbins’ extensive discography ranges from Romantic to contemporary repertoire. He won the Gramophone Award for Birtwistle’s Mask of Orpheus with the BBC Symphony (NMC), the Cannes Opera Award for Korngold's Die Kathrin with the BBC Concert Orchestra (CPO), and the Grand Prix du Disque in the 2013 opera category for his recording of Jonathan Harvey’s Wagner Dream.